The Northeast Florida beaches are a bit of a hidden treasure. This website is designed to introduce you to the beaches area. Our blog should help give you a sense of the various communities’s personalities. There is a lot of great information on the blog about Ponte Vedra Schools, businesses in the area, restaurants, and local beach organizations all along the First Coast. The Communities section will give you information about homes for sale in Ponte Vedra Beach, Jacksonville Beach, Neptune Beach, Atlantic Beach, Nocatee as well as along the Intracoastal. If you are looking for Ponte Vedra Beach Oceanfront homes for sale, this page would work for you. If you are looking for homes for sale in Jacksonville Beach, you can drill down to sub areas to find properties like condos for sale in Jacksonville Beach in buildings like Costa Verano and Marbella, or just scope out properties in the main community area. We love working with investors and Jacksonville Beach is great place to find investment property. Nocatee has so many options. There is a real variety of new homes for sale in Nocatee, and it’s attracting people from all over. It’s known for it’s forward thinking community feel, schools and new homes. Lesser known areas include Atlantic Beach and Neptune Beach. Properties for sale in Atlantic Beach and homes in Neptune Beach tend to go quickly. It’s a highly desirable area for millennials and those who want a true beach town feeling. Real estate along the Intracoastal is unique and special. Sometimes people stumble upon these areas after they have lived here a few years. Other people just know they are water people! If you are new to the area, just know that there are numerous options. We’ve lived all over the beaches and know the area. We’re here to help with all of your real estate needs and look forward to connecting you with your new community. 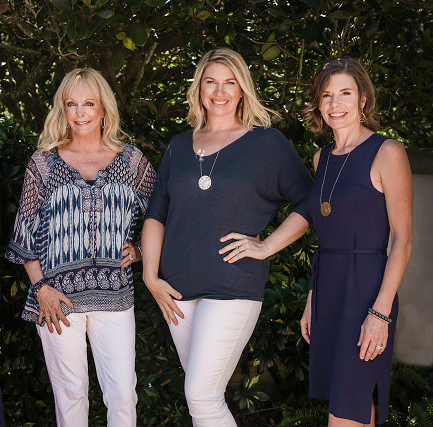 Here’s an link to our about page, where you can learn a bit more about us, and what makes us stand out as some of the top real estate agents in the Ponte Vedra Beach and other beach areas. If you are buyer, click here to learn more about the buying process. If you area seller, click here to learn what differentiates us in the real estate market. Finally, please take advantage of our fully enable Northeast Florida MLS Search for the area. We are about to close a great deal in an investment property and Gwinn is performing phenomenal work. She has an impressive knowledge of the area and market. The negation was fair and smooth, Gwinn also has knowledge of loan originators and etc. She is really making this major investment straightforward and stress free. Amazing professional!!! Both Jayne and Gwinn are extremely knowledgeable and very professional. I enjoyed working with both of them and felt as though they presented the best properties for my price point and gave me the best guidance in comparing what was presented. My only wish was that they represented a larger geographical area but, then, that is was makes them so knowledgeable about the Ponte Vedra/Atlantic Beach areas! Would highly recommend them both! Our realtor had exceptional knowledge of local area in Ponte Vedra Beach. Took a data-based approach. Excellent listener. Very responsive to our needs. Would highly recommend Gwinn Volen to any prospective buyer or seller. “Wow” is the first thing that comes to mind when I think about Jayne and Gwinn. We had our house on the market with another realtor for about 3 months and kept getting crazy low-ball offers. Jayne and Gwinn refused to lower the price and instead creatively marketed our unique waterfront oasis. Any real estate agent can put your house on the MLS. If you want fast results and to feel like you are their only client, look no further than Jayne and Gwinn. It was a dream working with this team.